In one of their most shocking moves of recent memory, Netflix has canceled Daredevil after its third season. The streaming giant continues to purge all of its. Marvel content from its service, with just The Punisher and Jessica Jones still standing. Iron Fist and Luke Cage were both canceled in October, but Daredevil, which just released its third season in October, appeared to have more viewer interest than the other two Marvel offerings. 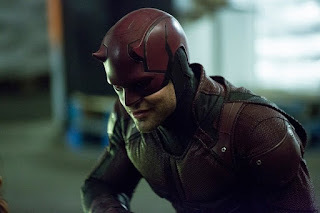 Charlie Cox starred as the titular superhero, with Deborah Ann Woll, Elden Henson and Vincent D'Onofrio also appearing. Daredevil aired 39 episodes over its three-season run. What do you think of this news? Are you surprised to see Daredevil get the axe? Will you miss the superhero drama? Let us know in the comments below!